The EU has taken the stunning step to pursue pro-migrant sanctions against its fellow Polish, Hungarian, and Czech members. None of these three targeted countries agreed to Brussels’ unilateral demand that they accept the relocation of Greek- and Italian-based migrants, arguing that it’s illegal for the EU to force them to do this, and also that it would in any case endanger their national and social security. About the latter part, Budapest initially took the lead in opposing the large-scale and illegal migration of civilizationally dissimilar people two years ago when it constructed a fortified fence along the Serbian border. 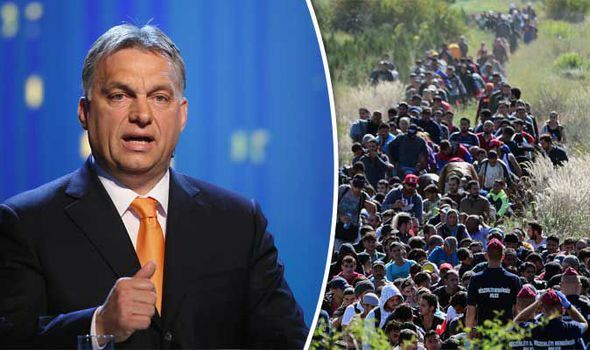 Prime Minister Orban said that the uncontrollable influx of Muslims would wreck social stability and lead to terrorism. Although branded as a “racist”, “fascist”, “white supremacist” by the liberal-indoctrinated Mainstream Media, his national constituency overwhelmingly supported his extreme measures, and furthermore, his rhetoric was soon thereafter echoed by Poland’s Law and Justice party, better known by its abbreviation PiS, after it swept parliament and entered into power in late-2015. On its own, Hungary could become a symbol of conservative resistance to the ill-thought-out and forced multiculturalism of the European elites, but it would never have been able to sustain such a policy without much larger Poland backing it up. For comparison’s sake, Hungary is a geographically tiny state with nearly 10 million people, while Poland takes up a huge swath of the Eastern European plain and boasts almost 40 million people. Accordingly, PiS’ entrance into power made it possible for Orban’s approach towards illegal migration to become somewhat mainstream in Eastern and Central Europe, hence why fellow Visegrad member, the Czech Republic, also joined its allies in implementing a similar policy as well. 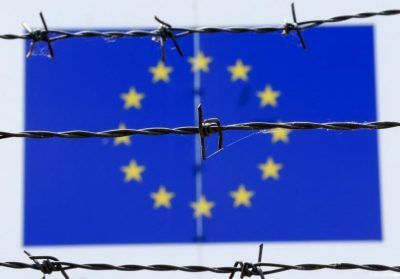 These three countries ardently refused to resettle a single illegal migrant in spite of the EU’s threats that this will result in the bloc unprecedentedly sanctioning these states, though to credit their credit, they’re holding firm to their principles and aren’t wavering in the face of Brussels’ economic and political blackmail. The fact that the EU is moving to sanction three of its own members – which are not coincidentally three of the four Visegrad states – is proof that there is a political civil war raging inside of Europe at the highest levels of international government. We can broadly categorize the two camps as liberals and conservatives, with Brussels being the liberal center and the Polish-Hungarian Strategic Partnership functioning as the conservative one. Both sides seek to reform the EU, albeit in radically different directions. Brussels wants to impose a full-blown liberal dictatorship of centralization in order to keep the bloc together in the post-Brexit aftermath, while Poland and Hungary aspire to restore national sovereignty to the member states through decentralization into what amounts to de-facto regional blocs, such as the Visegrad Group. Bearing these competing dynamics in mind, it’s fair to say that the entire future of the EU is on the line amidst Brussels’ pro-migrant sanctions against three of its rebellious members, but that both sides might unwittingly end up catalyzing the collapse of the bloc if this spat goes too far.